Update: A new version of the Kindle app has been released. Given the timing of the update, TNW presumes that it solves the below issue. Tread lightly, but Kindle for iOS should be safe again to update. 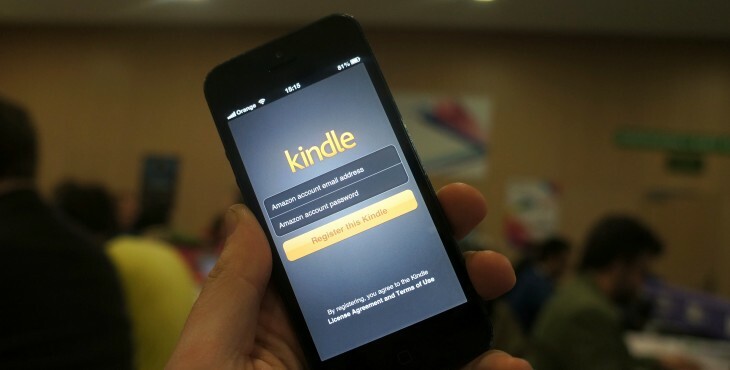 Amazon has warned users of its Kindle app for iOS to refrain from updating to the latest version after acknowledging that a “known issue” with its latest submission to the App Store. According to TUAW, which was the first to spot the update on Amazon’s Kindle App Store page, the new update is affecting users’ Kindle book libraries, in some cases removing a user’s entire collection of books. Note: There is a known issue with this update. If you are an existing Kindle for iOS user, we recommend you do not install this update at this time. Amazon had pushed a fix yesterday to remedy registration issues, but it seems it the new update affects user libraries instead. Earlier this month, Amazon updated its Kindle iOS app with the ability to add multi-colored highlights to a book, instead of the default yellow (or blue if in night mode), sharing on Twitter and Facebook when users you finish a book (something that Kindle Fire owners have had for a while). The company also included a prompt that asks users to review their books after they have finished reading them. Amazon recently updated Kindle for iOS to support X-Ray for books, something that it had previously kept for its own devices. This habit illustrates Amazon’s desire to be the broker of its content on any platform that’s available, tying them into its ecosystem. We have contacted Amazon for more information on the issue, we will update when we receive a response. “We have identified an issue with the app update that may cause your app to become deregistered.